In part 1 of this article, we looked at how the particular County in which a person’s 3rd offense DUI charge is pending plays an important role in how things ultimately turn out. In this second part, we’ll begin examining why the threat of being sent to Prison is more bark than bite, and what kind of Sentences are really passed out in 3rd offense cases. In the first part of this article, we confirmed the rather well-known fact that Oakland County is the toughest of the 3 local Counties in which to face a 3rd offense (Felony) DUI, or any DUI charge, for that matter. 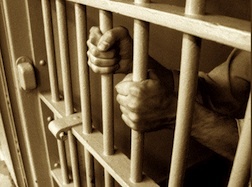 In order to be sent to Prison for 5 years, a person must usually have a number of prior 3rd Offense DUI Felonies. In 20 years of handling DUI cases, I’ve never seen anyone with 2 or 3 prior DUI convictions be sent to the State Prison. Remember, Jail is where a person goes for up to a year, and Prison is where they’re sent for a Sentence that calls for a minimum of 1 year. In other words, you have to be a really hard case to actually be facing a Prison term. This means that the overwhelming majority of 3rd offense DUI Offenders are facing, at worst, a Jail term, and not a Prison Sentence. For the most part, I agree with that, because it has always been my job to help my DUI Clients avoid any, or as much Jail as possible. I look for, and see the good in them, and share with them the regret for what’s happened, and the fear for what is going to happen. I try with every fiber of my being to coax a better deal, or get a bigger break, or do whatever I can to make the outcome of their case as good and lenient as possible for them. If I suddenly became a Prosecutor, I would not be able to just not shake my concern for the person standing in front of the Judge, even though my job would be to make it tough on them. In short, I’d make a lousy Prosecutor because I just couldn’t invest my whole heart into what I was doing. I picked my side long ago. The die, in other words, has already been cast. ‘m not ripping on the Prosecutors. My job, as a Defense Lawyer, is to establish and maintain a good working relationship with them. They are as much a part of what I do as the Police who make the DUI Arrest. I must keep in mind, however, that their perspective and mine are very different. I cannot be so simple-Simon as to just expect that, when I tell them my Client is remorseful, and getting help through some Counseling or Treatment, they’ll suddenly see things my way. I have to remember that every decent Lawyer tells them the same thing almost every day. I have to keep in mind that they’ve heard this same story before, over and over again. I have to, therefore, make my Client’s story a little different from the loads of others they hear. I think the great intangible is the enthusiasm the Lawyer has for handling this kind of case. That’s not to say I’m in favor of Drunk Driving, but it does mean that I’m very sympathetic to people who find themselves in the role of DUI Defendant. This is particularly true when I have a Client who I know accepts and admits they have a problem. In a series of articles I wrote about Drinking Problems and 2nd Offense DUI’s, I pointed out that pretty much everyone who knows or hears about a person picking up a 2nd DUI will conclude that person has a problem. Multiply that by about a million when it comes to 3rd Offenses. For most people, being charged as Felony Drunk Driver hammers home not only the notion that the common denominator to their problems is alcohol, but that they need to do something about it. They need to get some help. When I have a Client who is trying to address that problem, I feel a natural sympathy for their plight. A now retired Circuit Judge who I very much admired once put it this way to a 3rd Offense Client of mine: “Society has lost its sense of humor with people like you. You’re not funny, you’re dangerous.” That Client, by the way, was kept out of Jail. The point I’m driving at is that when I know my Client is trying, I’ll bend over backwards to produce the best outcome possible in their case. I believe, however, that the internal drive to do that is a product of my lifelong career as a Defense Lawyer, and that former Police Officers turned Defense Lawyers, or former Prosecutors turned Defense Lawyers, are, for the most part, not as capable of having that sympathetic bond with their DUI Client. For all of that, if I was facing a DUI charge, whether a 1st, 2nd, or 3rd, I’d be less concerned about my Lawyer’s sympathy for me than I’d be about what he or she could do for me. Earlier, I observed that its my job to make my Client’s story a little different from the same one Prosecutors hear every day. In order to do that, however, there does have to be that genuine concern for the Client, and belief in him or her. Accordingly, I think that while sympathy alone isn’t worth a whole lot in a Defense Lawyer, it is a vital ingredient in the mix that makes that Defense Lawyer go out and fight for the best outcome possible. And this might just be the defining difference between what’s “real” and just putting on a good show. As a general rule, I have usually spoken with someone prior to their coming in to hire me. In those cases where I have not, my Assistant has, and the person has usually read enough of my blog articles about DUI’s, and enough of my website, to get a pretty good sense of who I am, and would rather make an appointment to get started rather than wait for a callback. My Assistant, just like me, is keenly sensitive to the indications of genuine and sincere remorse, and commitment to do what’s necessary to not only stay out of further trouble, but to establish and maintain sobriety. The larger point here is that I’m simply not interested in standing next to some scammer, no matter how much he or she is willing to pay, and put all my heartfelt efforts into convincing everyone in the Criminal Justice System that they are now the “real deal” in terms of making a sudden turnaround in their life, when they’re really not. I sell my time, but not my soul. This means that my Clients and I are on the same page. I’m not so naive as to believe that any number of people who try to quit drinking, no matter how many prior offenses they might have, and no matter how much they understand the need to get and stay sober, don’t “fall off the wagon,” so to speak. In many cases, relapse is part of recovery. In terms of beginning an Attorney-Client relationship, however, I need to know I’m coming out swinging for someone who at least admits to having a problem, and has made a commitment to do what’s necessary to bring it under control. Compare that kind of personality with the kind of “scammer” I mentioned earlier, who might say “sure thing, boss, I’ll make sure I don’t drink anytime near my testing times, but there’s no way I’m going to be told not to have a few beers after work, or a glass of wine with dinner.” WHo would you rather put your efforts into fighting for? It may sound trite, but at least in my Practice, I generally wind up representing Clients with whom I share that commonality of approach. My Clients are looking for someone like me, and not just some well-spoken, but perhaps less-than-sincere mouthpiece. We find each other through the crowd. This “commonality of approach” allows me to meet with the Prosecutor, look him or her in the eye, and say something like “this Client is a little bit special. There are a few things you should know that might influence how you perceive this case.” That alone can make all the difference in the world, because it might just be the difference from getting a break and a Plea Bargain down to a 2nd offense, Misdemeanor (no Jail) case, or not. It might, in another place, be the difference that convinces the Prosecutor to agree to, or at least not object to, the legal minimum of 30 days in Jail, instead of seeking more. The consequences of a 3rd Offense are very real, and very scary. Even so, in all but the most serious of cases, a person should not feel that they are facing certain ruin. The DUI process in general, and that for 3rd offenses in particular is designed to hurt. Each successive increase in penalties is designed to be strong enough punishment to keep someone from doing it again. When that fails, however, it is just how things work that the consequences get ramped up the next time. As we have seen however, even in the toughest Court, a person facing a true, first-time 3rd offense DUI will not have to worry about being carried off to Prison somewhere. As always, the person’s first concern, and job number 1 for their Lawyer, is to minimize those consequences in every way possible. I hope the reader takes a few messages from this discussion. Even though a person charged with an OWI (DUI) 3rd offense is facing “up to 5 years in Prison,” unless it’s the person’s 6th or 7th DUI, its not likely they’ll ever wind up being sent there. Instead, pretty much all 3rd, 4th, and even subsequent offense DUI’s will result in, at worst, a County Jail Sentence measured in days or months, and not years. In that overwhelming majority of cases that aren’t going to simply be “thrown out” of Court, the person charged with a 3rd Offense DUI needs to find a Lawyer that, beyond being experienced and qualified, is committed to their case, and not just by money alone. In order for that to happen, at least in my experience, it requires the Client to be committed to doing what’s necessary to make a dramatic turnaround in their behavior and to get and stay sober. This is especially important because the choices made at this stage of a 3rd offense case will have a direct impact upon a person’s ability to have their Driver’s License Restored down the road. That period may be either 1 or 5 years, but it will come. The County in which a case is brought has a significant bearing on how things will play out. That’s a matter of geography, and a matter of fact, and, short of being able to turn back the hands of time, there’s nothing that can be done about that. It is what it is. Finding the right Lawyer, and being committed to making the necessary lifestyle changes to maintain sobriety are the 2 most important attributes the Client brings to a 3rd offense DUI situation. With those things in place, all that fear of Prison, and doing hard time, and watching one’s life slip down the drain can be made to vanish. Instead, a person, while understanding that they’re not going to be given a gift-certificate and thank you note for being a 3rd offender, can begin to plan for their future, and, if they make the right choices, a much better future than what they had previously imagined.